Thank you for your interest in Southern Illinois University Edwardsville. 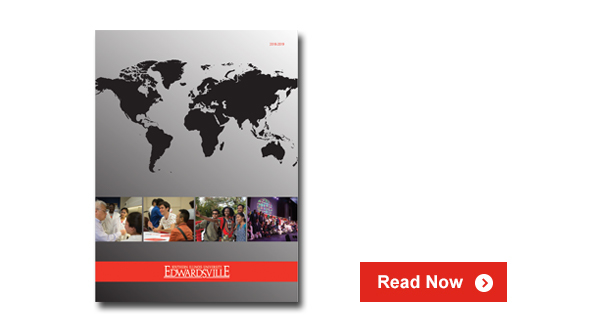 I’d like to share our latest viewbook with you as you consider an education at SIUE. Flip through the pages and discover the opportunities waiting for you at SIUE. You'll find SIUE is a top-ranked university offering one of the lowest tuition rates in our region.